Buenos Aires. The question is where to start when there is so much to say. 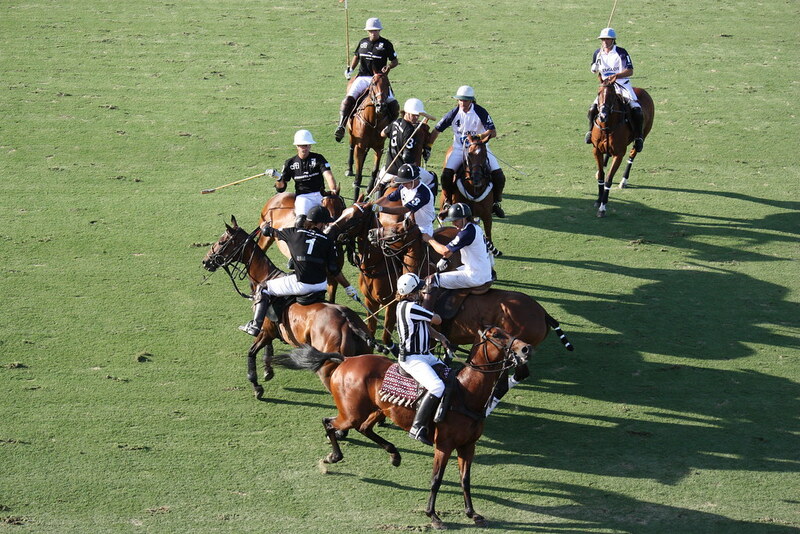 Perhaps we'll start here with the Argentine Polo Open 2008 between La Dolfina and Ellerstina, a rematch of the 2007 final and truly un espectaculo emocionante! 12-12 in the final chukker, 10,000 people were watching as Ellerstina's Gonzalo Pieres scored the winning goal in overtime in the 9th, denying La Dolfina their fourth victory in as many years. During the match sticks were dropped, one was broken, a pony lost her shoe, a Dolfina needed medical attention, one team member was pushed from his pony, intentional fouls were made - pretty much everything you want to see in match plus lots of goals, great speed and bravery from the mares and their handsome riders. After the match, to provide a contrast you understand, we were shown the villa miseria or secret slums of Buenos Aires, a strip of land between the autopista and the railroad where, it's estimated, some 25,000 people live in a shanty town perhaps a kilometer from the French Embassy. Great wealth and enormous poverty live side by side in this beautiful city.